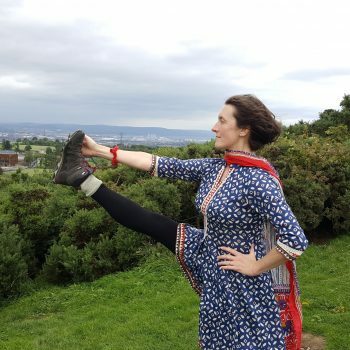 The taster sessions will include examples of the classes we offer at Maitri Studio, including yoga, t’ai chi, belly dancing, sound baths, mindfulness and more. The event will have a festival spirit and is open to all - we hope we've managed to put something on for everyone. 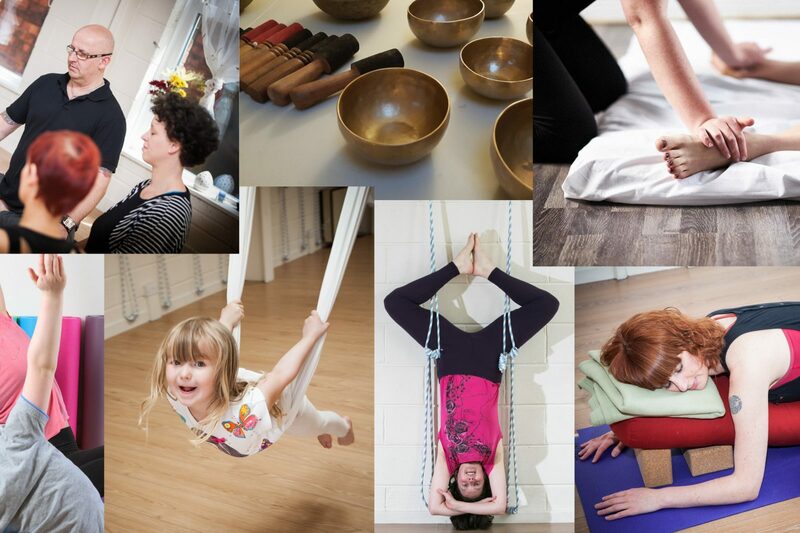 You can book classes online through our calendar and by telephone/email. There are likely to be some extra places on the day, free mini-treatments, and a pop-up café for you to buy lunch from vegetarian/vegan eatery Giro's! This year we will pick names out of a hat for the 30 minute treatment sessions. If you'd like to be in with a chance you need to email us with your contact details (or like and share our facebook post) by Sunday 4th March. We will make the draw on Monday 5th March. If you're unlucky in the draw never mind, there will be free mini-treatments on the day. 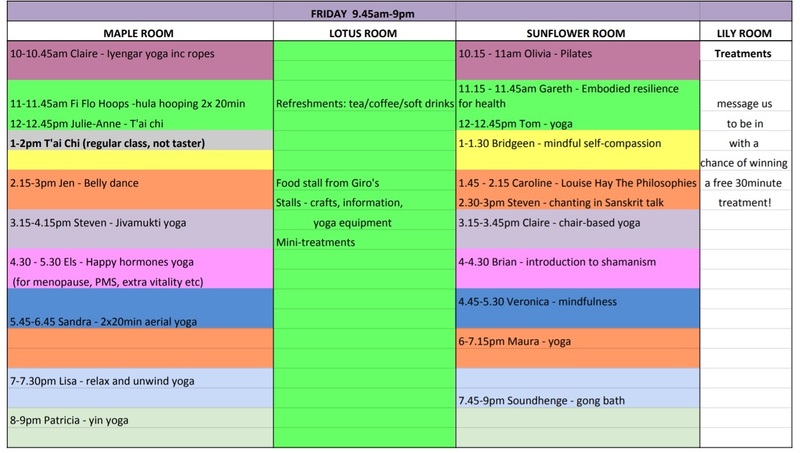 This timetable shows what we have in place as of posting (29 Jan) but this will be updated as the last slots are filled. Keep an eye on our facebook, instagram and twitter for announcements. The full festival programme, including events all over Belfast, can be downloaded here.